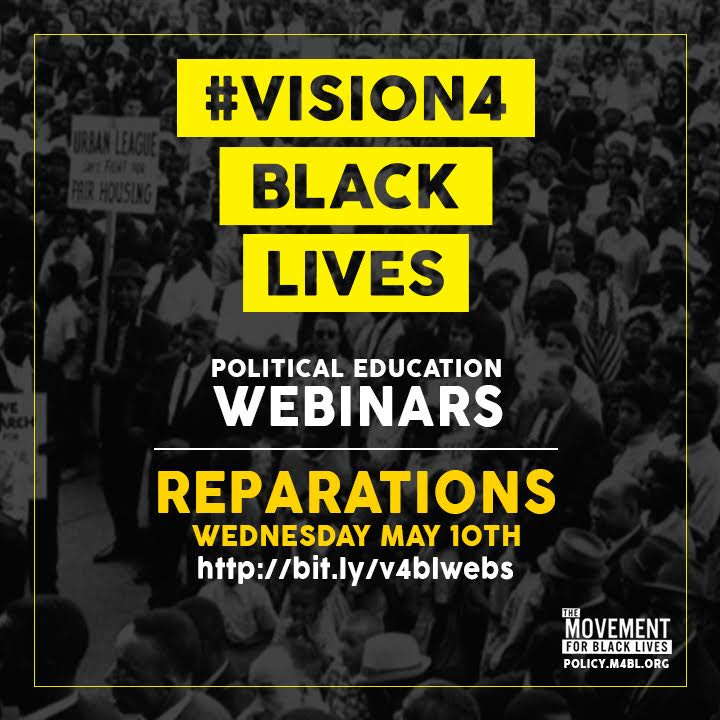 We invite you to the Movement for Black Lives fourth political education webinar this Wednesday, May 10th at 7PM ET/4PM PT. The webinar will be focused on Reparations and explore different ways that organizers across the country are working on reparations for past and continuing harms from the government, responsible corporations, and other institutions. Please register here for the webinar, and share!